Roots Market, A local farmers market founded in 1925 is open every Tuesday year round. Not only do locals go their each week for their fruit and vegetables, but many Lancaster County artisans can be seen displaying their craft. For 28 years one of those artists was Erma Wenger. A Lancaster County Native who started painting when she was only 12 years old. Known for her Lancaster County scenes, Erma has sold her art to all 50 states and over 50 countries worldwide. 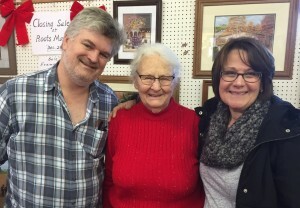 Cindy and I feel honored to be able to follow Erma in displaying Local Framed art at her Roots Stand. 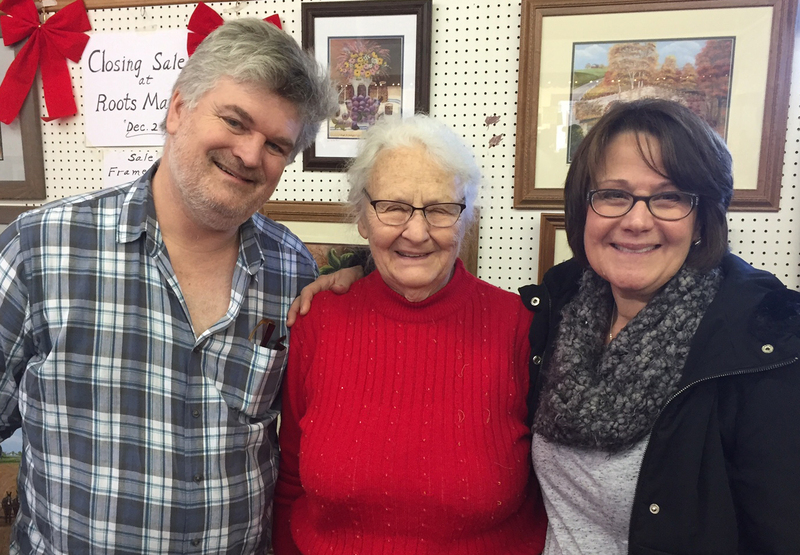 Have you seen Erma at Roots or purchased any of her artwork over the years? Please reply below. This entry was posted in Lancaster County News and tagged Erma Wenger, Lancaster County artist, Roots Market. Bookmark the permalink. We want to be better for YOU! The young and the rest of us! Just a crumbled piece of paper… or is it ??? After 58 years as an only child, I finally have a brother!